Christianity was a peaceful faith for the most part for many centuries. As the church became institutionalized and nationalized there was a tendency to link the church to the military and to coersion. With Charlemagne, the gloves came off. With his Grandfather (Charles Martel) having to fight off Muslim invaders, and his own wars with the pagan Saxons, Christian missions gained a militaristic edge. The result could be described as “the cross or the sword” or “convert or die”. The following is a case study in this. 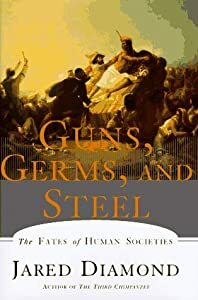 It is from the writings of some of the friends of the Conquistador Pizarro, as compiled and recorded by Jared Diamond in “Guns, Germs and Steel: The Fates of Human Societies.” Although this is not a missions book or even a “Christian” book, it has much of value in missiology. The Conquistador Pizarro (more of a vicious and greedy criminal than a Christian missionary) meets Atahuallpa, Emperor of the Incan Empire. “The governor then gave the signal to Candia, who began to fire off the guns. At the same time the trumpets were sounded, and the armored Spanish troops, both cavalry and infantry, sallied forth out of their hiding places straight into the mass of unarmed Indians crowding the square, giving the Spanish battle cry, ‘Santiago!’ We had placed rattles on the horses to terrify the Indians. The booming of the guns, the blowing of the trumpets, and the rattles on the horses threw the Indians into panicked confusion. The Spaniards fell upon them and began to cut them to pieces. The Indians were so filled with fear that they climbed on top of one another, formed mounds, and suffocated each other. Since they were unarmed, they were attacked without danger to any Christian. The cavalry rode them down, killing and wounding, and following in pursuit. The infantry made so good an assault on those that remained that in a short time most of them were put to the sword. I am not listing this to show how bad Christians are (or can be). I have yet to see a religion whose members do not behave very badly when they have the physical power to do so. Nor is it to show the dangers of religion. The non-religious are at least as bad and have the eerie ability to justify gross evils with “religious” fervor. Rather this is to consider the dangers of linking church and state, and kingdom of heaven with the kingdom of man. Also, since the region of the former Incan Empire is over 90% Christian today, does this prove that the Cross/Sword method a success? Or is evil just plain evil? And, regardless, is the cost too bad.